Every year, Inman celebrates the most innovative technologies emerging in real estate — the tools and products that are moving the industry into the future. This year’s finalists for the Inman Innovators Most Innovative Real Estate Technology category are coming up with new, different ideas to improve real estate every day. Many of them will be taking the stage at Inman Connect San Francisco, July 17 through 20 at the Hilton San Francisco Union Square, and celebrating their achievements at the Inman Innovator Bash, July 19 at Verso. Here are some highlights from the 2018 class of nominees for the Most Innovative Real Estate Technology. Agentology: Agentology screens buyer and seller leads, qualifying them to save agents time, then keeps track of the qualified leads to ensure that no buyer or seller slips through the cracks. It offers an agent referral network and American concierges to cultivate leads. An affordable alternative to using an inside sales agent (ISA), Agentology integrates with a number of lead-generation systems and reaches out to leads on behalf of agents, teams or brokerages within five minutes of detecting the lead, no matter what time it is. 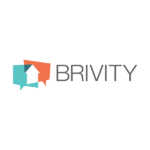 Brivity: Brivity keeps buyers or sellers and their agents on the same page throughout the entire transaction. This software tool makes it possible for agents to capture and nurture leads, close deals and repeat the whole cycle, and once a client is hooked, they can see the step-by-step progress of their home transaction journey. It includes project management tools, interaction logs, showing feedback, email templates, single-property websites, unlimited landing pages, document storage, a CRM, drip campaigns and many other tools that encompass just about everything a real estate agent could possibly need. 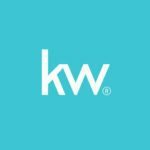 Kelle App: Keller Williams has stated its intention to move from a real estate company to a technology company, and Kelle is one of the many tools that KW is building that will help its agents stay organized and close more deals. Kelle is a personal assistant, but “she” operates beyond the scope of a Siri or an Alexa to help agents manage their clients and transactions. The app helps Keller Williams agents answer questions, keep track of referrals, check their progress against career goals and much more. Kelle also leverages artificial intelligence to continue refining and improving, making “her” smarter and more helpful as agents use the app. 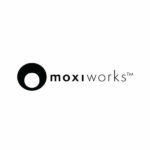 MoxiWorks: MoxiWorks is an open platform system for large real estate brokerages with plug-and-play tools and services that keeps all your data and transaction information in one place. Offerings include a CRM, intranet, agent websites, lead generation, print marketing, transaction management, reviews, newsletters, client gifting, agent advertising and more, providing a one-stop shop for brokerage tools that are easier for agents to learn and adopt in their day-to-day processes. 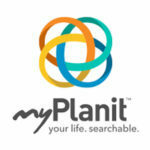 myPlanit: MyPlanit is an app for tracking appointments, people and listings using time- and place-based enhanced data aggregation and geolocation. It’s a tool that blends your calendar (when and where you’re going) with your contact list (the people you’re meeting) and your note-taking app (why you’re meeting them and what you need to remember), helping you keep track of everyone in your network and remember when you saw them and what you talked about — and helping you schedule the next meeting. 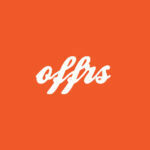 Offrs: Offrs is a tool that streamlines the marketing process for agents by identifying the leads who are most likely to sell in the near future, targeting them with campaigns and then funneling the most interested listing leads to agents. It’s a huge time-saver for agents who want more high-value listing clients, expediting the most likely lead prospects through nurturing and then delivering them into the agent’s lap. 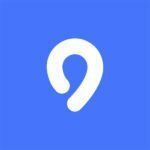 Quo: Quo is an app that allows agents to collaborate with high-demand buyers and gather insights into a buyer’s preferences during home searches and transactions. Buyers and agents can share MLS listings, comment on them and arrange showings, among other activities, helping to keep the transaction moving and ensure that agents and buyers know who’s seen what and how they felt about each property. 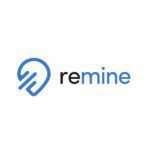 Remine: Remine predicts potential property transactions using big data on unlisted properties as well as those that already appear on the MLS. Homes get a “likely to sell” score to help agents determine the best strategy for listing client outreach, giving them an edge over the competition and alerting them to new lead opportunities before they start seriously searching for a listing agent. 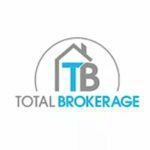 Total Brokerage: Total Brokerage is a CRM that supports transaction management, digital signatures and other forms of real estate business management through a user experience that’s clean and simple, saving agents and brokers time on all fronts. Brokers can keep tabs on transactions while agents save time and energy, and it’s all leveraged through technology. 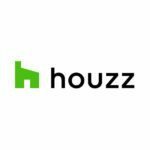 View in My Room 3D: View in My Room 3D is Houzz’s augmented-reality app that allows users to preview more than 500,000 images of furniture and decor products from the Houzz Shop in their rooms, then move them around and position them to see how they look before buying. It’s an excellent way for buyers to figure out how they want to decorate within a budget and understand how everything will fit together in their new place. 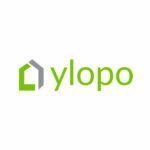 Ylopo: Ylopo is a digital marketing platform that offers advanced Facebook ad management, combining Facebook’s Dynamic Ads for Real Estate (DARE) with lead ads and catalog formatting. It’s coordinated with an IDX website and landing pages that give agents much more control over their Facebook ads, and it has an an auto-pilot function that’s the next-best thing to having a social media assistant. 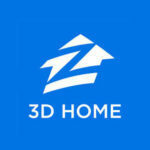 Zillow 3D Home: First there were listing descriptions, then listing photos. But it’s still not always easy to tell how a house is laid out and what the space feels like. Zillow 3D Home is a free app that allows agents, brokers and real estate photographers to capture immersive 3D home tours directly on their iPhones using the panoramic camera feature, then upload them to Zillow listings. It’s a cheap alternative to other 3D home tour software out there but doesn’t stint on the immersive, walk-through experience that’s a hallmark of 3D technology. See the rest of the Most Innovative Real Estate Technology finalists.